Jessica DeSimone was the inaugural speaker in the Student Scholar Series. 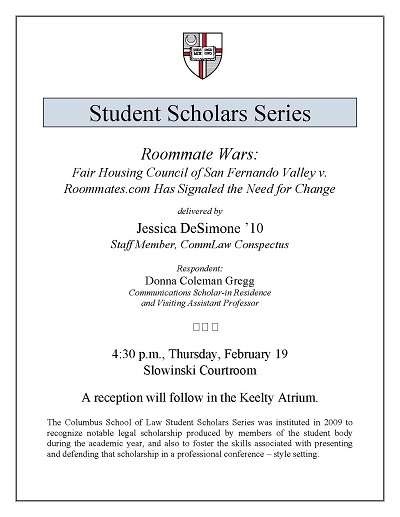 DeSimone, Jessica, "Roommate Wars: Fair Housing Council of San Fernando Valley v. Roommates.com Has Signaled the Need for Change" (2009). Student Scholar Series. 5.